Our family is scattered across the United States and follows different schedules and lifestyles, so arranging a get together involves solving numerous multi-body problems. Our animating criterium was for a place where we could all be together but still have different things to do (because, inexplicably, we’re not all hikers). A secondary criterium was for that place to be new and different (for most of us at least). 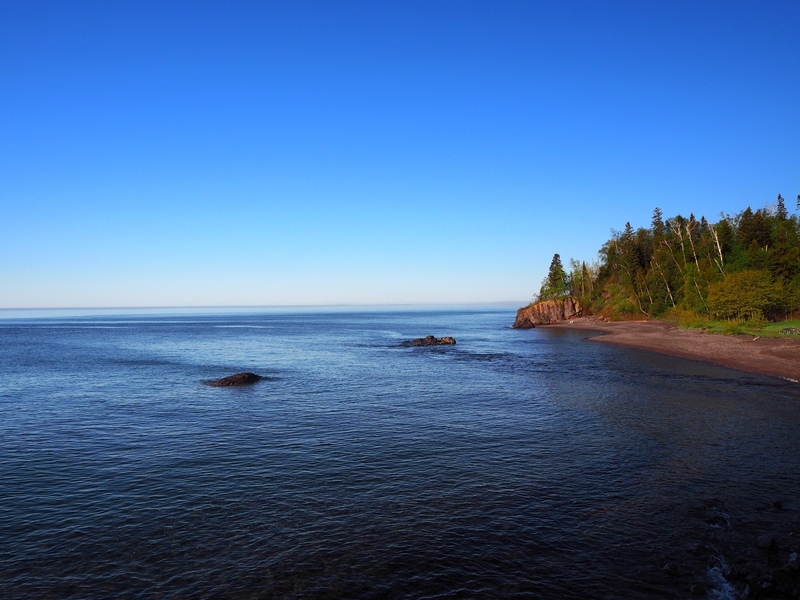 So, after considerable back-and-forth, but without any major ruptures in the familial fabric, we settled on the North Shore of Lake Superior. We had been there once years ago to hike Eagle Mountain, Minnesota’s high point, and The LovedOne’s brother and sister-in-law had visited when they worked in Minneapolis, but this shore was terra incognita for the rest. 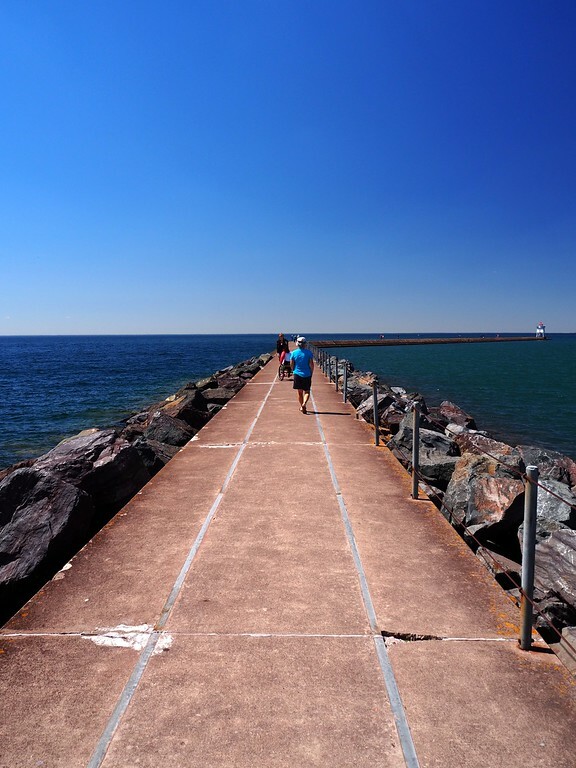 The North Shore is also home to the Superior Hiking Trail (SHT), a tread that Backpacker magazine has ranked among this country’s top ten trails. The Chicago Tribune calls it the Midwest’s Appalachian Trail, although many think it’s more scenic than the actual Appalachian Trail. So, after two long, but blissfully boring, flights and a drive north, we finally holed up for the night at Superior, Wisconsin, where we soon found solace and refreshment at the Thirsty Pagan Brew Pub. 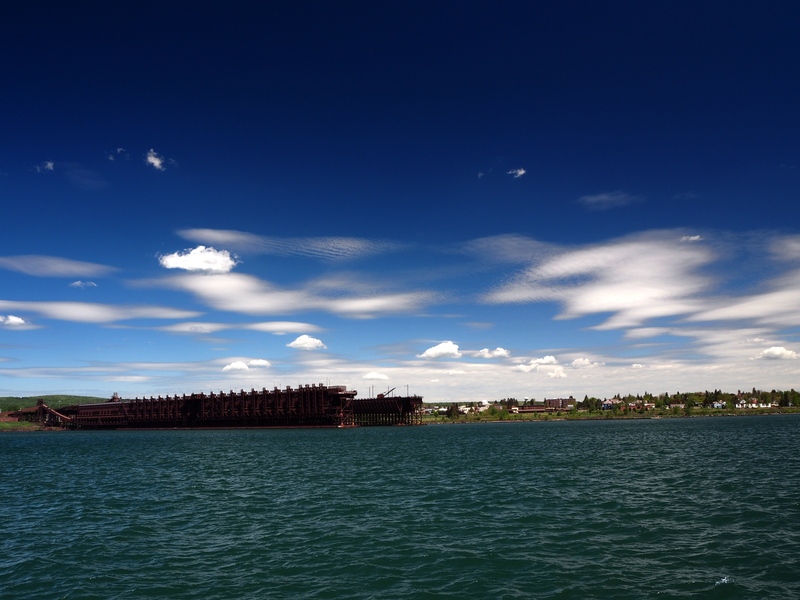 The next morning we continued on up Highway 61, did a short warm-up hike along the Knife River, and then stopped in Two Harbors to walk the jetty and look back on the massive taconite (processed iron ore) loading docks that dominate the shoreline here. 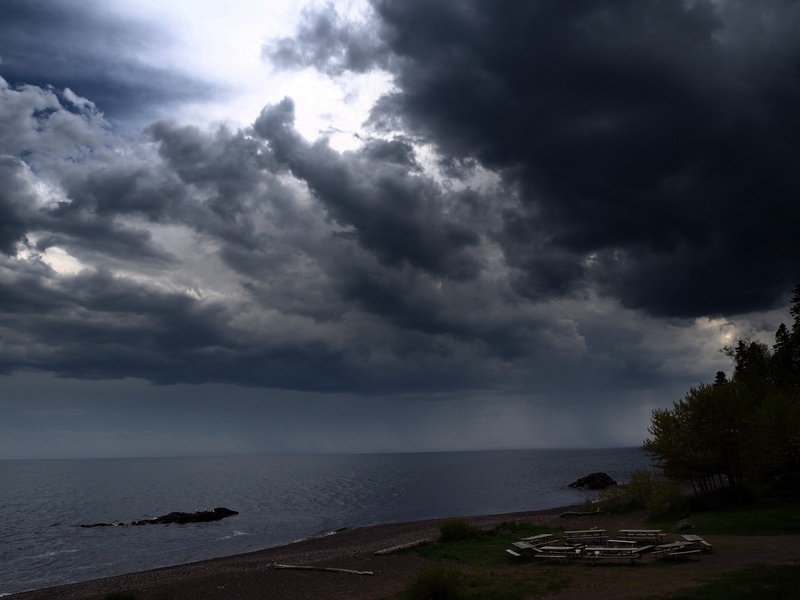 From Two Harbors, we continued on north to our basecamp at Lutsen, arriving just a few minutes before a massive thunderstorm rolled through the area. The next morning, all was forgiven (at least meteorologically) and we would have mostly sunny days for most of our week on the North Shore. Not a bad deal considering that supposedly sunny Southern Oregon spent this same week being pummeled by rain and snow. 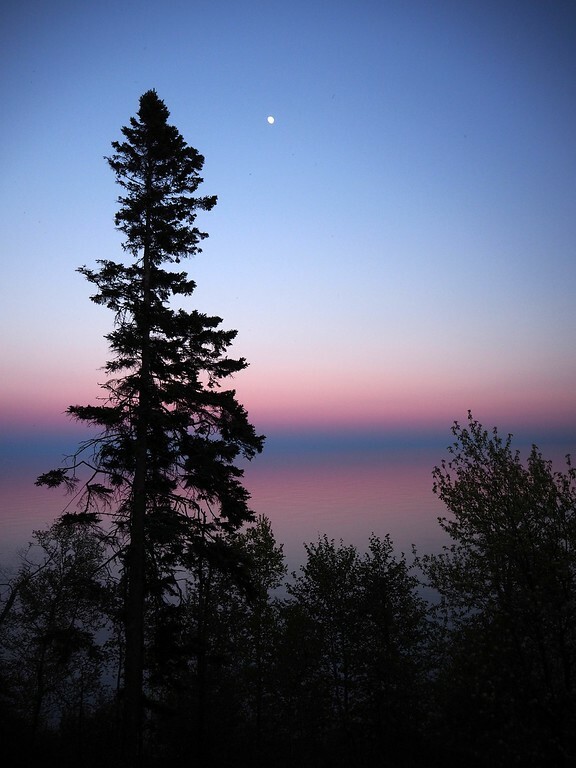 Lake Superior, with an area of 31,700 square miles (approximately 350 miles by 160 miles), is generally considered the largest freshwater lake in the world by surface area. I’ve spent enough time at sea on ships of varying sizes to approach waters – on which you are out of sight of land, which are dangerously (if not fatally) cold, and over which great storms can quickly build – with both awe and respect. 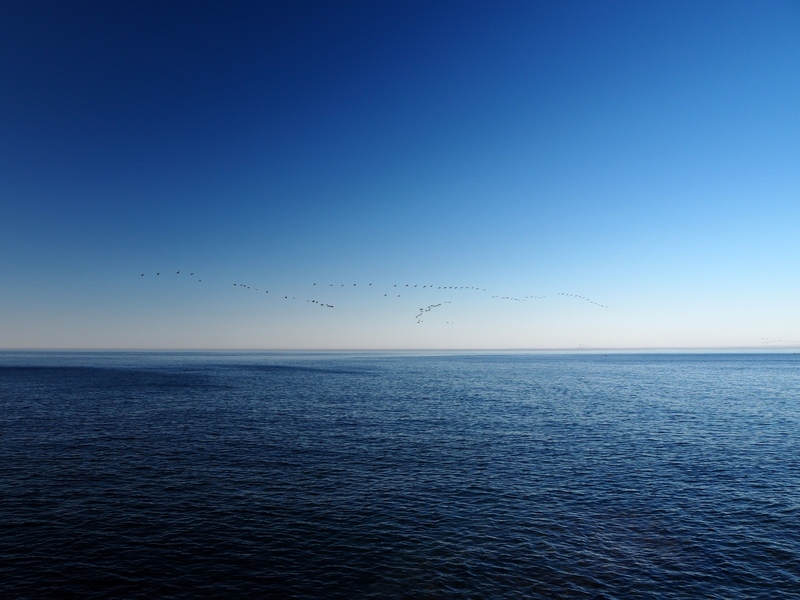 So, to us, “lake” just seemed to be too small a term to describe such a magnificent waterbody. 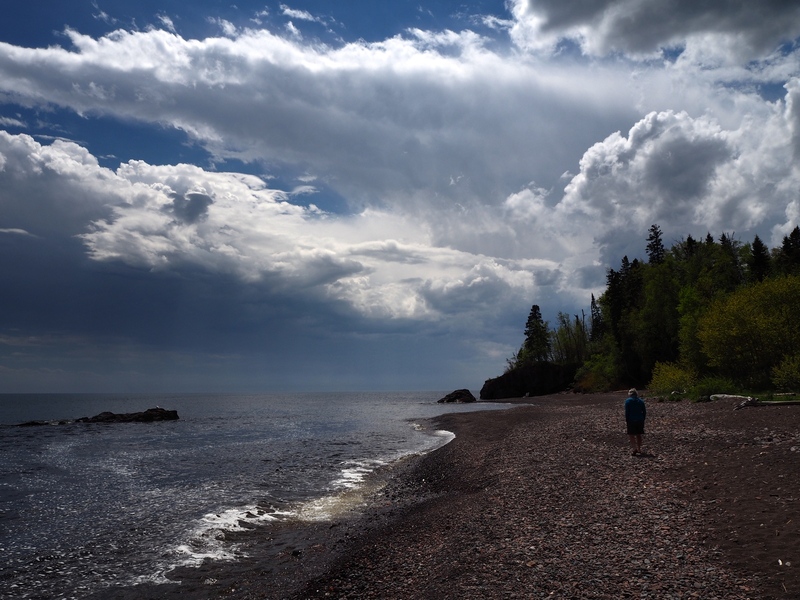 During our weather-favored week on the North Shore, we would do hikes along the Knife River, to Eagle Mountain (again), in Tettegouche State Park, and along short sections of the SHT. 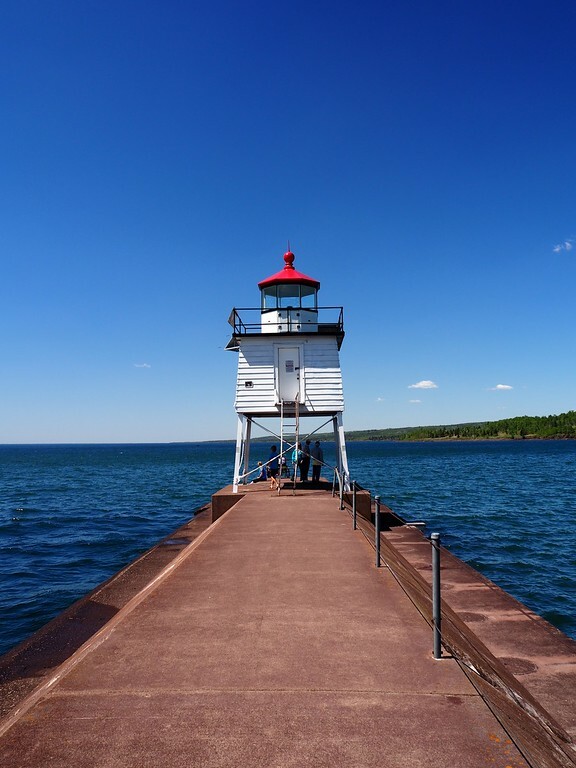 We would also get to visit Isle Royale National Park (unfortunately, just for a day, and without actually seeing a moose) and Grand Portage National Monument, which we found to be a very informative arrangement of museum exhibits, reconstructed buildings, and live actors. Even though not everyone joined us on all of these adventures, we did get to spend a lot of time with the family, which was the real purpose of this trip anyway.